The sound and presence of the Las Vegas Mass Choir powerfully enhances the many concerts, events and awards shows in which they perform. They have accompanied Stevie Wonder for his Icon Award medley at the Billboard Awards, harmonized with Wynonna Judd for a live TV telethon performance, and performed with John Legend, Neil Diamond and Josh Grobin, among many others. The Las Vegas Mass Choir also performs occasionally at The Smith Center for the Performing Arts, most recently for the Nevada Sesquicentennial Celebration. They also take on specialty bookings such as a recent singing wedding proposal at the Bellagio Hotel & Casino. Recently the Las Vegas Mass Choir has taken their act to another level as an integral part of "Georgia On My Mind: Celebrating the Music of Ray Charles," at the Venetian Theatre on the Las Vegas strip. Because of the variety of events the choir had been asked to perform for several years, James R. Smith, Master Choir Director decided the time had come to make them an official act, and in 2004 the Las Vegas Mass Choir was officially formed. To celebrate they released a CD entitled Mass Appeal. This adult choir consisting of 35 vocalists has now been a special presence in Las Vegas for over a decade! When I heard the Las Vegas Mass Choir (LVMC) was going to be performing in a several week run of "Georgia On My Mind: Celebrating the Music of Ray Charles," I thought it was a perfect fit. Since his early years Ray Charles was known for the special and unique way he blended jazz and southern gospel. So it's only fitting that a Ray Charles tribute would include a choir...not just any choir but a strong and experienced one, so of course, the Las Vegas Mass Choir! I recently spoke with James R. Smith. He told me "We would like people to know that the Las Vegas Mass Choir is a Faith-based professional choir that sings music to inspire people from ALL walks of life. We choose to go to places where many people will not go and spread joy through our music. Our tag line says There's a Message In Our Song." James is currently living in Houston and takes frequent trips to Las Vegas as LVMC's CEO. He helps give direction to major events, and teaches and directs music. James is the point person and there is a stellar Las Vegas based leadership team including a Business Manager, Publicist, Spiritual Advisor, Lead Choir Director, 4 Associate Choir Directors and a Support Staff all in place to assure the success of the Las Vegas Mass Choir. The LVMC has been acknowledged with awards such as Choir of the Year - BMA Award 2013, Melbourne Gospel Jazz Festival Award 2007, and the Hollywood Gospel Insider Award 2005, to name a few. James went on to say, "Our relationship with The Smith Center is growing and we are honored to participate whenever they call us. We first did Georgia On My Mind back in February as a one time show not ever thinking it would turn into a multiple week run on the Las Vegas strip. That's pretty exciting!....The Music of Ray Charles is timeless and it's rewarding to have this accomplishment on our resume. While appearing in Georgia On My Mind, we are sharing the stage with awesome and talented performers. Aside from this, some of our members have not had the experience of working five nights a week on the strip until now. Our choir has about 35 active members and the show only requires 20 of our singers each night. We rehearse the whole choir to allow for rotation and understudies as needed." Photo by USA Today...Some of the cast of "Georgia On My Mind"
The dimension a gospel choir brings to any performance goes beyond the energetic but soothing harmonies. It adds depth, excitement, and inspiration to every song! "It's very rewarding to see the training and preparation that I and the choir have done come to fruition every night in such a great venue at the Venetian. One of the things I enjoy is seeing and being a part of such a great group of people. Everyone that is involved in the show is truly amazing as individuals and as performers and its a great honor to share the stage with them!" The first song the choir performs in and for me the moment when the show really kicks into full force is "I Can't Stop Loving You." Originally recorded by Don Gibson and also Kitty Wells, it was Ray Charles' 1962 version that reached number 1 on the billboard Hot 100 and R & B charts. For "Hit the Road Jack" three members of the LVMC serve as the Raelettes and it's a sizzling rendition with Clint Holmes and the three ladies! Also included of course is what many would say is Ray Charles' signature song, "Georgia On My Mind." Written in 1930 by Hoagy Carmichael, it was the 1960 version by Ray that made it a major hit. Many artists have recorded or sampled the song since. The extravaganza ends with a real showstopper, "America the Beautiful." It's only fitting the choir should be a part of the performance of this song as the music was originally composed in the 1800's by church organist and choirmaster Samuel A. Ward. Ray recorded his version in 1976 during America's Bicentennial celebration year. Following "Georgia On My Mind: Celebrating the Music of Ray Charles," the choir will be preparing for their 2nd Annual Home for the Holidays Christmas Party. The date is December 13th this year and will be held at the Larry Hart Mansion. The charity will be the Ronald McDonald House. 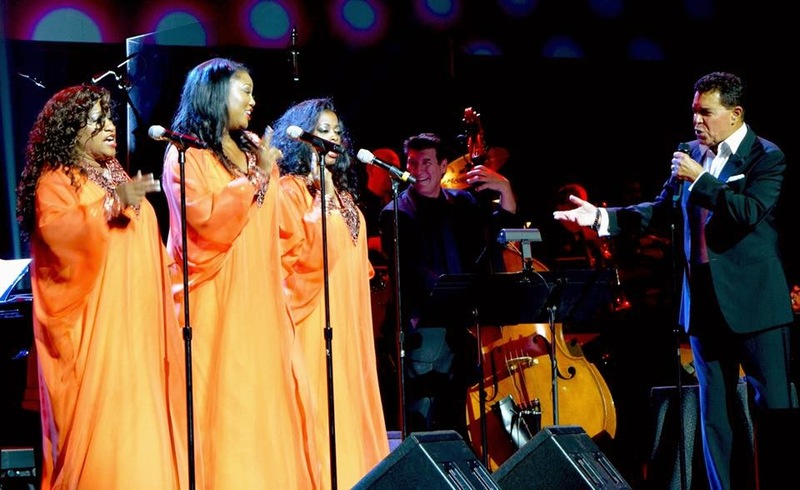 Other projects include new music to be recorded with a possible February release date and a reunion concert in May of 2015 to celebrate the success of ten years as the Las Vegas Mass Choir! Clint Holmes, Nnena Freelon, Kirk Whalum,Take 6, Las Vegas All Star Big Band & the Las Vegas Mass Choir! One of the most amazing things music can do is capture the feeling and energy of an era, through sound. Motown, more than any other record company is known for doing just that. Founded in 1959 in Detroit Michigan by Barry Gordy and his sisters, Motown like many businesses has changed hands several times in the 55 years since. It is now a sublabel under Universal Music Group.. The Motown sound lives on through its original recordings, influences in today's music, and in the interpretations of performers keeping it alive on stage. 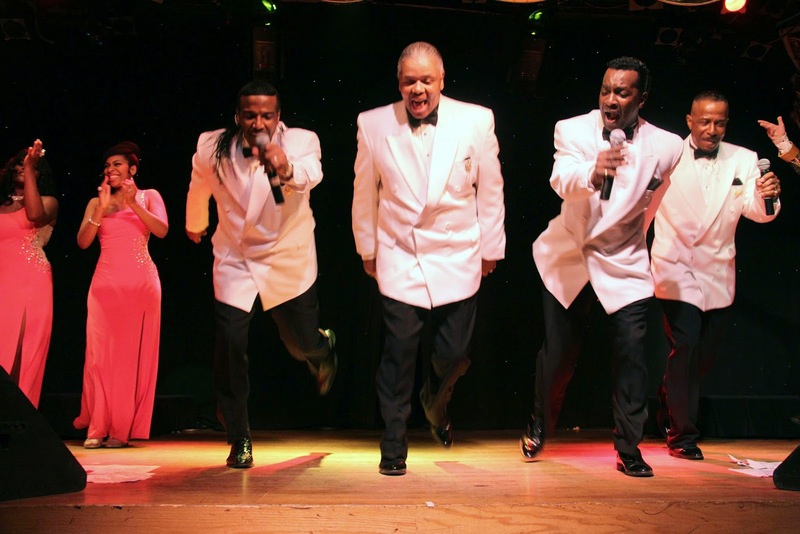 Forever Motor City captures the Motown sound every night at The Riviera Hotel here in Las Vegas. The era of Motown was part of a time of great change in our country including the civil rights and women's liberation movement, and of course the sexual revolution. There was a whole lot going on and it flew in the face of what was considered "acceptable" at the time. Some would say society needed a little shaking up and others would disagree but in the end the music of the Motown era reflects the energy, angst, spirit and excitement of this chapter in America. Unlike the Doo Wop era before it, female singers and groups played a visible role in the music and top hits of Motown. Diana Ross and The Supremes, Gladys Knight & The Pips, Mary Wells, The Marvelettes, Kiki Dee, and more, were and are as much a part of the Motown sound as The Temptations, Stevie Wonder, The Jackson 5, Smokey Robinson and Marvin Gaye. 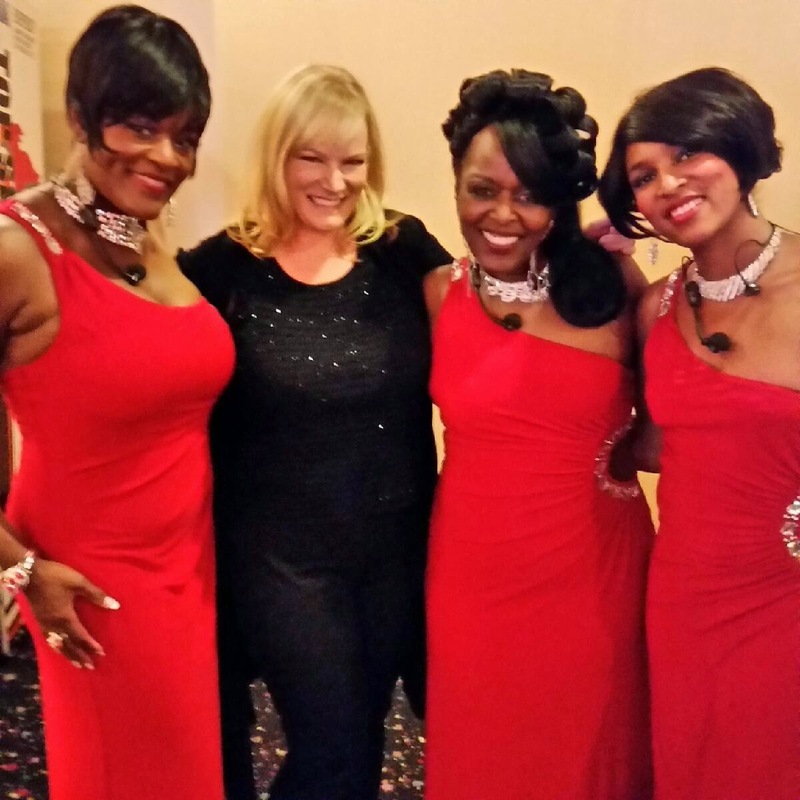 After checking out Forever Motor City recently I spoke with Tonja Foster, one of the female leads and an experienced performer of the Motown sound. She told me, "The music of Motown continues to influence music today. Often when classic Motown tunes are sampled and covered in current songs and hits, many younger people don't know that it's not a new song or melody!" To Tonja's point, just a few examples are RUN DMC, who samples Papa Was a Rolling Stone on their single Papa Crazy and Sean Kingston sampling Stand By Me in his song Beautiful Girls, as well as Miley Cyrus and Future's hit My Darlin' which is a fractured and haunting sample/cover of Stand By Me. Ain't No Mountain High Enough was reworked by Amy Winehouse in Tears Dry On Their Own. A couple of Tonja's favorite songs to perform are You're All I Need to Get By, which she sings with Jerome Jackson and Ain't No Mountain High Enough with the entire cast. When asked what song she would record herself today if given the opportunity she told me it would be Ain't Nothing Like the Real Thing Baby. tears through smiles and people tell me how touched they are by these songs." She also said, "I love performing in Las Vegas because in a way it's like Broadway. We have audiences here every night from all over the world." I can't say enough good things about the Forever Motor City production and performers. They were even better than expected (just like with Forever Doo Wop). Far from rote, the cast's interpretation and talent really make an impact! Not just with well known hits such as Heard It Through the Grapevine, My Guy, Stop In The Name of Love, and more, but also songs such as Pride and Joy and Just My Imagination. The host of Forever Motor City, the Riviera Hotel & Casino will celebrate its 60th anniversary next year. The casino opened in the spring of 1955. It has gone through many changes, but has endured as a landmark of the past and current...just like the sound of Motown has. Forever Motor City cast includes members of the musical groups The Spinners, Main Ingredient, and The Jones.